Future iPhones, iPads, Macs. and Apple Watches could sport near-field antenna that operate through their displays. Apple has filed for a patent (number 20150311960) for such an invention with the U.S. Patent & Trademark Office. A near-field antenna would support near field communication (NFC), the set of protocols that enable electronic devices to establish radio communication with each other by touching the devices together, or bringing them into proximity to a distance of typically 10cm or less. NFC is the tech used in swiping your smartphone at the checkout lane in the grocery store, waving it over a display at a local museum, and similar tasks. 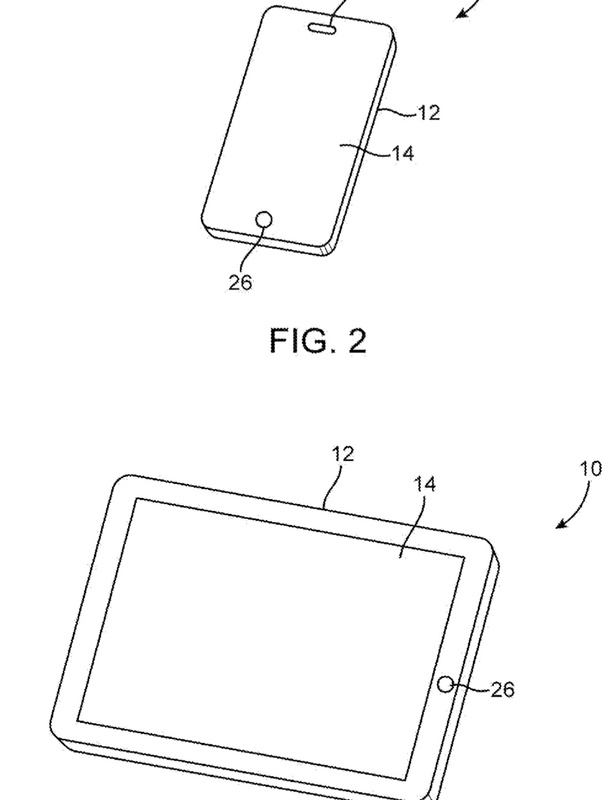 In the patent filing, Apple notes that, to satisfy consumer demand for small form factor wireless devices, manufacturers are continually striving to implement wireless communications circuitry such as antenna components using compact structures. At the same time, there’s a desire for wireless devices to cover a multiple communications bands. For example, it may be desirable for a wireless device to cover a near-field communications band while simultaneously covering a non-near-field (far field) bands bands such cellular telephone bands, wireless local area network bands, and satellite navigation system bands. Because antennas have the potential to interfere with each other and with components in a wireless device, care must be taken when incorporating antennas into an electronic device. What’s more, care must be taken to ensure that the antennas and wireless circuitry in a device are able to exhibit satisfactory performance over a range of operating frequencies. For these reasons, Apple wants to provide improved wireless communications circuitry for wireless electronic devices. Here’s Apple’s (somewhat tech-speak heavy) summary of the invention: “A display cover layer and a transparent inner display member may overlap a display pixel layer. The display pixel layer may have an array of display pixels for displaying images for a user. A touch sensor layer may be interposed between the display pixel layer and the transparent display member. A ferromagnetic shielding layer may be mounted below the display pixel layer.